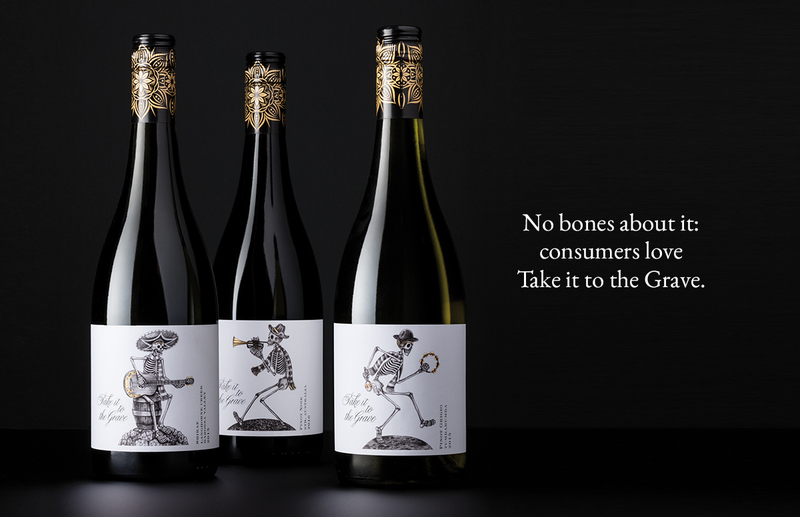 No bones about it: consumers love Take it to the Grave. Pinot Noir is notoriously difficult to grow, and often expensive to make therefore making it a luxury purchase. Our client believed there was a gap in the market for an inexpensive yet quality Pinot. Who he sourced the Pinot from, and how he would be able to sell at an affordable price, was to be a closely guarded secret. 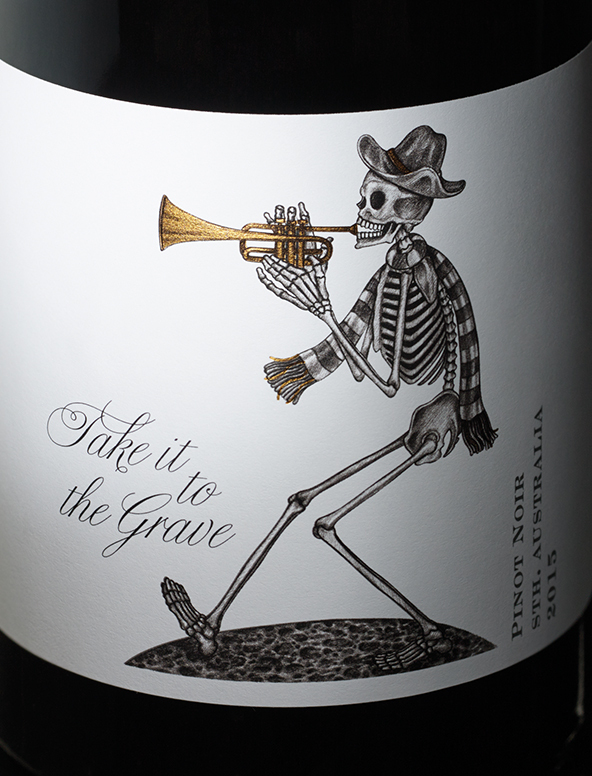 The secretive nature of the wine sourcing became the inspiration for the brand: we named it after the famous idiom “take it to the grave” where a secret is never revealed in a lifetime. 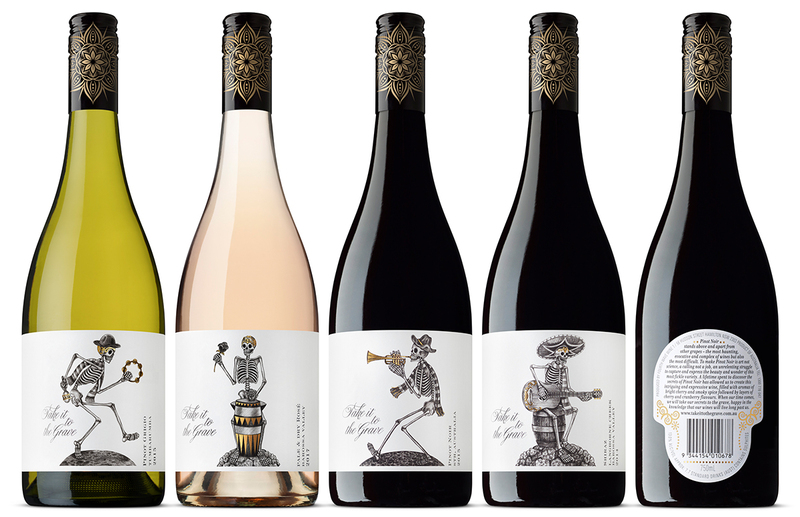 The pinot was so successful the brand quickly grew to include other varietals, all under the same premise of excellent quality wine for an affordable price. 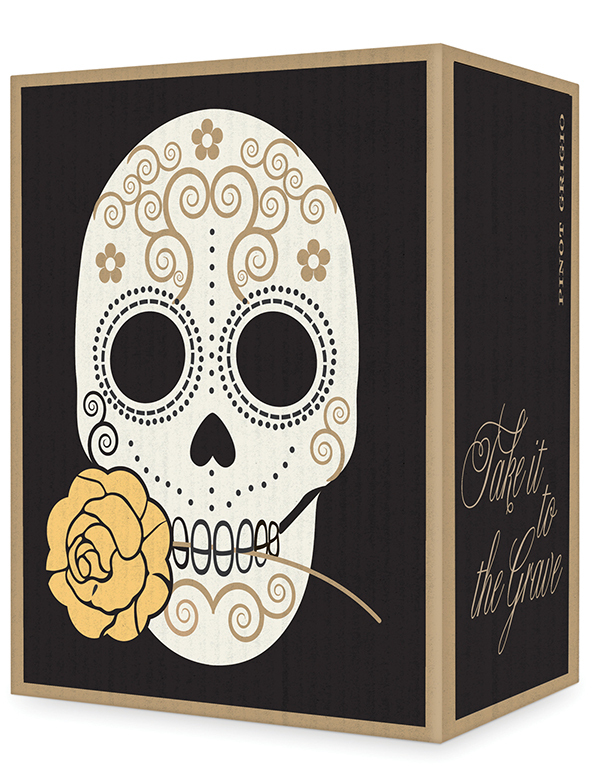 Inspired by Día de Muertos- the ‘Day of the Dead’- skeletons dance and play across the range. 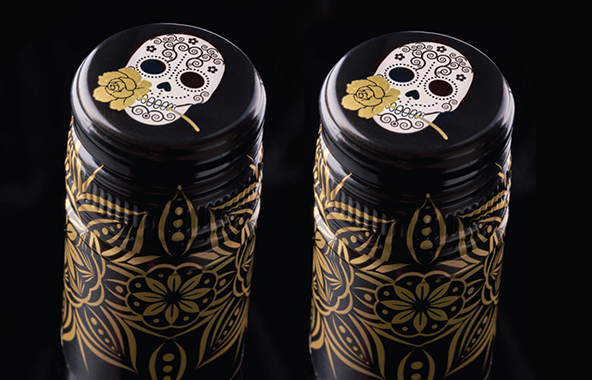 Every aspect of the packaging is detailed to reflect the premium quality of the wines. Touches such as the skull-shaped back label adds an additional playful touch and further reinforces the brand name. 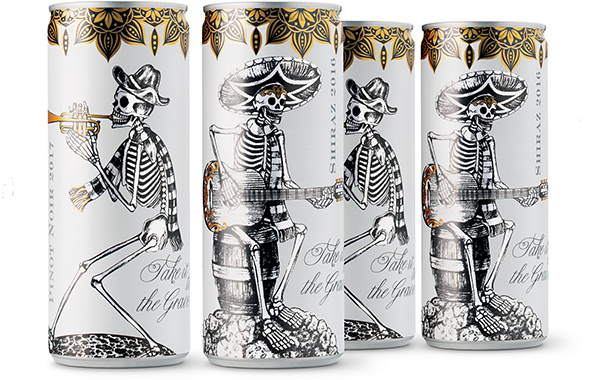 In addition to their bottled wines, Take it to the Grave was a leader in the innovation of offering consumers their wines in single serve cans. The skeleton iconography translated brilliantly onto this medium.